We should start to see the Anish Kapoor Helterskelter rising above the handball court any day now. We have been passing the amazing construction the past few weeks now – and it seems to be going up at a rate of knots! Like it or not – it is the only bit of architecture in the entire Olympic park (from Leabank Square’s vantage) not looking like an Ikea warehouse! It is also the tallest structure in the park – which is why we will be able to see it – even though it’s the furthest on from us. Anyway – look out of your windows in the next few weeks – and see who will be the first to spot the distinctive red steel tower. Last week’s Leabank Square Community Association was a bit same old, same old. No chairing to speak of – so as usual – a very chaotic agenda. 1. Ian’s back!! Remember Ian who used to do all the gardening for PMMS? Well – he’s back from Spain – and we’ve been chatting about how to improve the gardens in Leabank Square – so watch this space. 2. The Newlon rep – Saud Ahmad – came along to the meeting. Let’s hope that Hamilton King will do the decent thing and grace us with their presence as well. 3. Matt brought along Andrew Boff from the London Assembly – for a very interesting take on local politics – especially how to set up a Parish Council. 4. Vicki & Rowan talking about a crook bench on the green being used in their exciting ‘Superfix’ art project. 5. The muf (http://www.muf.co.uk/index.htm) presentation for Hackney Wick. 6. The feedback from the last resident survey – which led to a re-discussion about the car park. This last point is a very interesting point. The money for the change to our car-park is coming from the Olympic Delivery Authority (ODA) – supposedly as ‘compensation’ for all the noise, dust & disruption we have had to put up with over the last few years. The common consensus seems to be that we use it for some sort of barrier or boom across the entrance to the square. This is supposedly to deter any other drivers from using our car park to park for free in. There are also some of us who do not like having Leabank Square barriered-off from the rest of Hackney Wick – but are apparently out-voted. Democracy huh?! But the even more scarier prospect of having raised service charges is putting even more residents off. Sure the ODA are doing their little PR stint in compensating us for the horrible few years they are putting us through – but they have less than a year to exist. Then who pays for the barrier to be repaired every time a refuse truck bumps into it? Who pays when some kids swing from it too exuberantly? Who pays when someone reverses into it after being blocked in by two resident’s cars because the person they came to visit wasn’t in? Etc. etc. If illegal parking is actually a problem – then Ian’s suggestion of an external car park policing company makes more sense. They can deal with persistent illegal parkers – and instead of using the ODA money for a barrier – we use it to re-tar & re-paint the car park. After all – it is their road sweeper that has swept all the paint off the road. When the muf discussion went on to losing 5 parking spaces to Gainsborough School outside Lindi’s door – there was unanimous concern for legal precedence’s being set for tenants & residents. Either there is a problem with day-time parking in Leabank Square – or not. I admit I mostly come home long after the working day has ended – but there are always loads of spaces when I cycle back into Leabank Square. Another point was made to me about this ODA compensation. In past meetings, many residents along the terraces & in the Newlon & Hamilton King blocks have actually said that they haven’t been affected by the Olympic build. The 3 blocks up against the canal on the other hand – have definitely been in the thick of it. 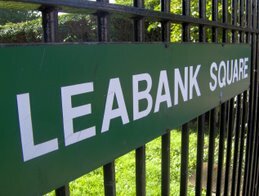 If the residents further into Leabank Square haven’t felt any need to seek compensation – surely the 3 canalside blocks should get the lion’s share? Interesting point no? All in all – a shambolic meeting – but luckily this time Ian was there to give us the legal position on many points raised. 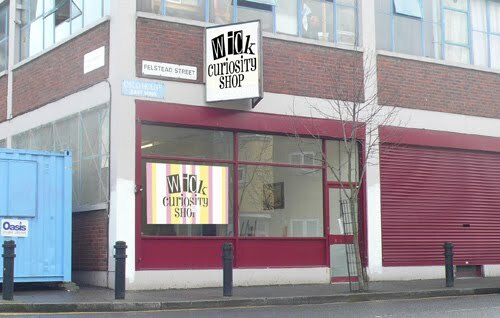 I urge every one of us to get down to 10 Felstead Street to the Wick Curiosity Shop this coming week. From the 1st March to 6th March – we will be treated to the most incredible local extravaganza of fun, news, talks, walks & workshops – all just for us in Hackney Wick!! 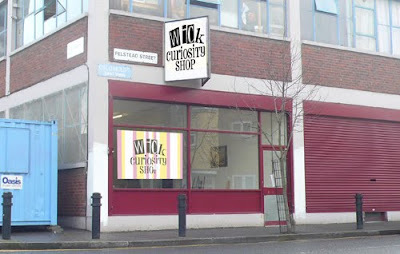 The Wick Curiosity Shop is an informal archive and cultural space dedicated to Hackney Wick. about the ‘goings-on’ in the Wick of the past, present and future. ideas and makers can meet to plot collective or individual futures. including self-initiated, commissioned, informal and formal projects. Places on the walks are limited, reserving a place is recommended. message us on Twitter @wickcuriosity or find us on facebook. A walk from Abbey Gardens (www.abbeygardens.org) to the Wick Curiosity Shop in Oslo House, where we will take the mobile press from Abbey Gardens with us to make seed bombs. The seed bombs will be used for the Sunflower Avenue walk (see below). Get an introduction to the beautiful Abbey Gardens and enjoy a slow walk into the Wick via the Greenway pushing, pulling and talking all things gardening. The walk will be led by Andreas Lang and take approximately 1.5 hours Start is at Abbey Gardens at 11am. Bakers Row E15 3NF. Check www.abbeygardens.org for directions. ‘Printers Paradise’ was the informal name of the dense cluster of printers and related industry spread around the Wick and along Carpenters Road. With the changes sweeping through the area and the print industry, only a few outposts of Printers Paradise remain. Join us on a walk to trace some of the former glory, meet some of the printers and visit still active print workshops in Hackney Wick. The walk will be led by Gemma Drake and Andreas Lang. The walk starts at The Wick Curiosity Shop at 3pm, and will take approx. 1 hour. The walk will contribute to an on-going project by Gemma documenting the changing industry in and around Hackney Wick. on a walk to show you where to pick up the best fish in the Wick! Along the way we will fly post pictures and posters, which have been made on-site at Oslo House earlier in the week. The walk will be led by Polly Brannan and take approx. 40 minutes. the heart of Hackney Wick. It is a local Initiative by Lea Bank Square Purple Garden to establish a planted connection between the two local parks. Seed Bombs specially designed and made in the Wick Curiosity Shop will be used to replant hundreds of sunflowers while strolling along the Avenue. Following the footsteps of one of the most popular annual walks in the Wick – the Christmas Swim - we walk together to retrace the ‘Otters Swimming Club’ days, with giant posters and hot dogs on the way! Monkey Parades were popular from at least the 1840’s and were a British working class institution. was rife in Hackney in 19th Century. The walk retraces a visual journey of the Wick by George Sims, a journalist during the height of the popularity of Monkey Parades in the late 1800s. Participants are invited to dress to impress and the ladies are invited to wear lavish hats (designed by the Ladies at the Wick). Drinks will be served on Mabley Green at the end. Get your hair styled or your nails done, have a tea and chat about the Wick. Lauren Campany will offer free hair styling and manicures in return for some lively anecdotes about the Wick - imaginary or real, regardless weather you live in the Wick or are on your first visit. which will see men and women lavishly dressed to impress. Just bring yourselves – material is provided. posters which will be copied and pasted during the Friday Fish Walk. The woskhop will be lead by Polly Brannan. to re-seed the Sunflower Avenue. The workshop will be led by Andreas Lang. A Wick Development Trust and trust in development. There is no Development Trust in Hackney Wick or the surrounding area. With so much speculative and top-down development descending on Hackney Wick we want to take a moment and brainstorm alternatives for a collective, community driven development of public spaces in Hackney Wick. Wick Session Number 2 will bring together artists and activists currently working on projects or setting up initiatives in Hackney Wick. A friendly and informal exchange between practitioners with a passion for Hackney Wick. showing a varied selection of films from and about the Wick. While the final programme is yet to be confirmed it is likely to include archive footage, explorations of what is now the Olympic site and stories from the area. Join us for some free Tea and Cake on early Sunday afternoon in the Wick Curiosity Shop, and bring you photos, anecdotes and rare curiosities to be included in the Wick Curiosity Shop archive. The antiques road show meets friendly chatter and stories about life in the Wick. The Wick Curiosity postal service to Graz, Austria. public works is invited by Rotor Gallery to present the Wick Curiosity Shop in Graz, Austria. After a packed week in Hackney Wick, the Shop will be journeying across the continent. The venue in Graz is situated in a similar social context to the shop’s home in the Wick and thus this visit aims to create a form of cultural exchange between the two areas, and a link between the explorations on either side. from visitors who would like to post something (physical or not) to Graz. If you have something to send, pop into the shop during the week or email us via our website. Part of the show in Graz is a two day conference on URBAN NEIGHBOURHOOD CULTURES with an impressive list of speakers from across Europe - Hackney Wick will be in good company! The Wick CuirosityShop started in 2008 and has since been shaped by many different individuals and groups based in, or with close associations to, the Wick. The project does not have a permanent home, and exists across changing location and settings. 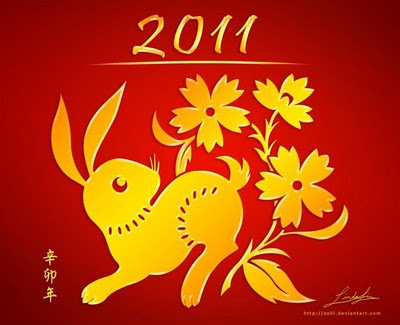 To browse the archive and find out more visit www.wickcuriosityshop.net. The Walks Programme is part of the ‘Wick Curiosity Shop - Route Book’ project by public works. for London Borough of Hackney (LBH) and London Borough of Tower hamlets (LBTH), curated by muf architecture/art. I swear the pic above has not been photoshopped. Q.What are we to call people who ride around in an Olympic vehicle called Vigilant? The new name for the Olympic patrol boat is Vigilant! You can't make it up can you? Long ago I asked the community liaison person what the point of the Olympic patrols were - and she said that it was 'just a presence'. Whatever that meant. The black jacket that Pokemon left right next to the electric fence as a test - was prodded a bit - but then just left. It has been there for 39 days now - and still just lies next to the fence. What purpose do these vigilantes serve? Why are they actually patrolling our border with the Olympic Park? What use do they have? If they were patrolling inside the park - then you could understand that they were guards for the building equipment - which would probably cost a few pounds. But they are on our river, on our towpath, on our cycle path. What are we meant to think about that? If they picked up litter (or large 'discarded' jackets) - now then - they would have a use. Does anyone know of any great plumbers, chippies, sparkies, washing machine engineers, etc? It seems that many of us had a rough start to the new year. Loads of 'things' going wrong in our homes - and they were normally emergencies. We've helped out where we could - but we need to put another call out the residents for contacts. 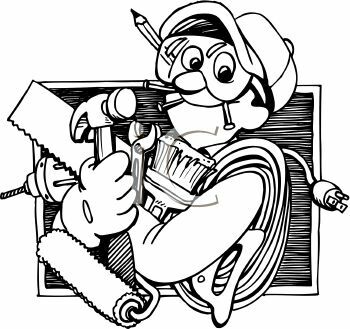 Please could you email me the details of any great plumbers, sparkies, chippies, plasterers, odd-jobbers, etc. We have to get the list updated & bulked out. At the moment Charlie is doing almost all the work! So - if you have had any work done in the past year - and were happy with the price, standard & skill of the company - please share this with the rest of Leabank Square. The more we use the same teams to repair, build & fix our homes - the better the relationship & standard of work. Talented Singer’s home destroyed by the Olympics! The last Hawthorns are being felled and one little bird is losing its favourite singing perch. For the last few winters, the Hawthorns opposite Leabank Square have been occupied by a very talented songster. 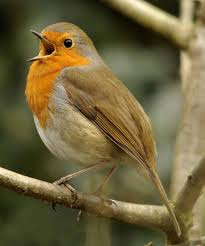 A little Robin has enjoyed a musical residency in the Olympic Hawthorns all winter long and delivered the most delightful concert, night and day, without fail. He has serenaded us with his colourful and energetic sounds, lifting our spirits and cheering our souls! This little Robin has been an exquisite antidote to the cacophony of the Olympic site. Each day we arrive home, knowing that we can open our windows and doors and be comforted by his sweet, rich, tones. He sings loudest, when the days’ noises slowly ebb away and calm falls on the Olympic site. His songs echo across the river and encircle the square, as though he is omnipresent. We cannot afford to lose the soothing therapy of birdsong. It counteracts the negative effects of living in a big, noisy city. It keeps us connected to a natural world and reminds us what we need to stay healthy and peaceful. We hope Mr Robin finds a new perch quickly and sings a little louder, so that we can still enjoy his beautiful songs! Hamilton King or PMMS - Who Is in Charge? Stand on the opposite side of Berkshire Road and look at Leabank Square. Look to your right at the corrugated iron fence in the corner of the Hamilton King block. Kids will be kids - and over the last few months - some of them have been using the wooden supports of the iron fence to help climb the tree. Well - it has finally broken - with the result that the fence is falling down. Already 2 pedestrians have written to me having bashed their heads on the very sharp metal sticking out. I have referred them to the council. Each day the fence tips a bit lower onto the sidewalk. - so there will be more. I have spoken to PMMS about this a few times - and Derek says that it's not PMMS's responsibility. But Hamilton King are also claiming they are not responsible. My advice to any parents who have an injured child in the next few months - is to get the council to sort out the insurance costs between Hamilton King or PMMS. The council after all is responsible for the sidewalk - and that's where your child will fall. In the meantime - if anyone in the Hamilton King block knows any friendly contacts in their management company - please get them onto this very serious accident waiting to happen. Almost a year to the day that we first spotted Popcorn - Leabank Square's very own kestrel, he has finally made the news! Remember back to this: http://leabanksquare.blogspot.com/2010/02/birds-of-leabank-square-kestrel.html - when Popcorn paid us his first visit? Well - as he has done most days since then - he stayed for about a half an hour last Sunday (see the last posting about the RSPB bird count). This time we didn't see him catch anything, but maybe all the cats had got to any mice before him. - we have had twitchers all over north London sending emails asking for more information. Popcorn can be seen most days either on the Leabank Square Purple Garden Riverbank - or on the towpath opposite. He chooses the highest bird branch on Leabank Square's side - and the highest branch of the magnificent Sycamore tree on the towpath. He sometimes settles on the horrible CCTV poles along the Olympic electric fence. Richard remembers him & a couple of others - before the trees were chopped down in Arena Fields. Seems like only Popcorn has survived the Olympic slash & burn. He seems to stay longer on slightly overcast days - but maybe this means that rodents & nesting coots & moorhens are a little more skittish on those days. But - he is magnificent!! Absolutely majestic and lovely to see. You won't need to bring very powerful glasses - as he doesn't seem to mind getting close to us. Our kids really love him most when he does that hovering endlessly - with sudden swoop thing. Fascinating. I hope that answers all your questions - if not - post a comment and we'll answer them that way. Thank you very much to Emma Bartholomew from Hackney Gazette for writing the story up. And a very special thanks to Leabank Square's friend - Tim Webb from the RSPB for all his useful comments & suggestions over the years on this blog.